Hakeem Oluseyi, Jassel Majevadia, Line Friis Frederiksen et al. Every day you face life or death decisions. Choose wisely and the world smiles at you. Choose wrongly and you're history. See if you have what it takes to dive into the world's deadliest dilemmas...and emerge victorious. Pick between engine failure in a plane or a helicopter. 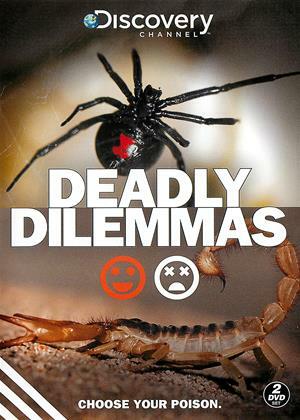 Choose to get bitten by a black widow or stung by a scorpion. Would you rather have brain surgery asleep or awake? What's better, a bullet to the chest or a tazer to the back? You decide. And our keen scientific experts will determine if you're one of life's losers...or ultimate players. So, put your brightest survival skills to the test and prepare to taste victory...or bite the dust.